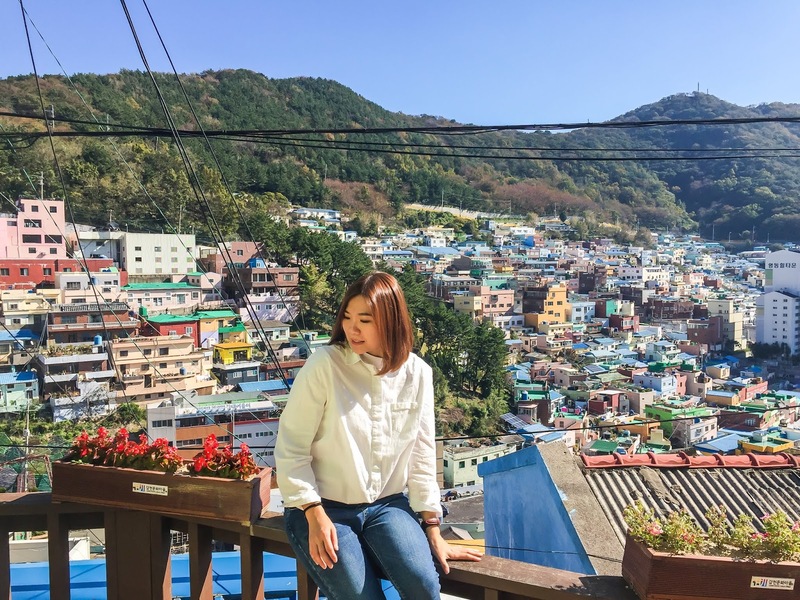 Are you a fans of mooncakes? 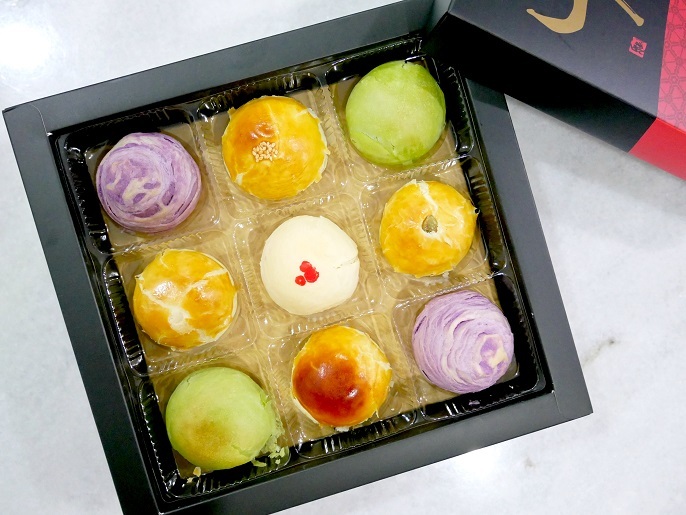 If you are, and love trying new creations, you'll definitely want to try the Taiwanese style mooncakes from the Donutes Coffee & Cake Baking! 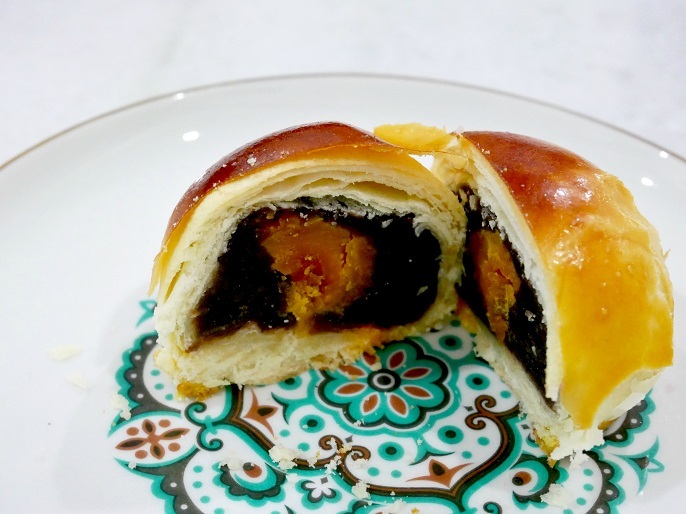 Donutes Coffee & Cake Baking is famous in bakery; and this year, they have created their own mooncake collection to celebrate the festival season with us! 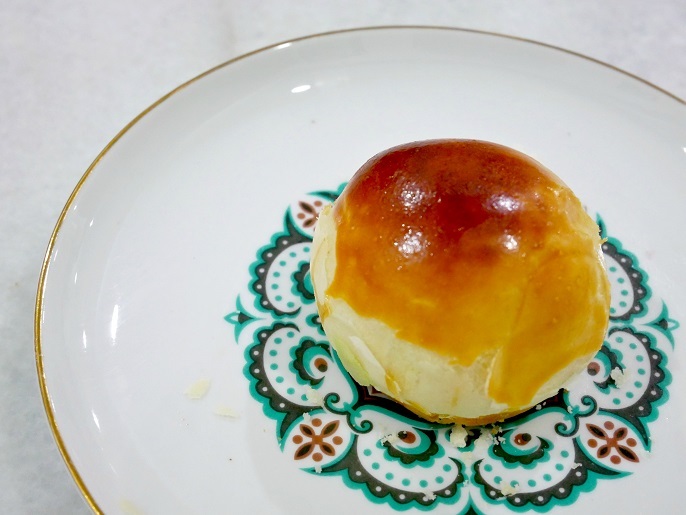 Instead of a traditional flat disc shape of mooncake, the Taiwanese style mooncake has a round shape with flaky and soft crust. 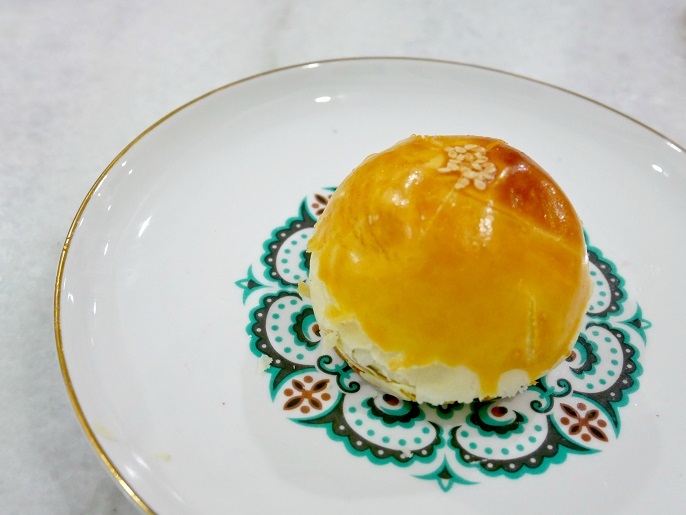 This mooncake collection is perfect for those who prefer their mooncakes not too sweet but with better filling. Also, the crust is very soft which melts easily in your mouth too. 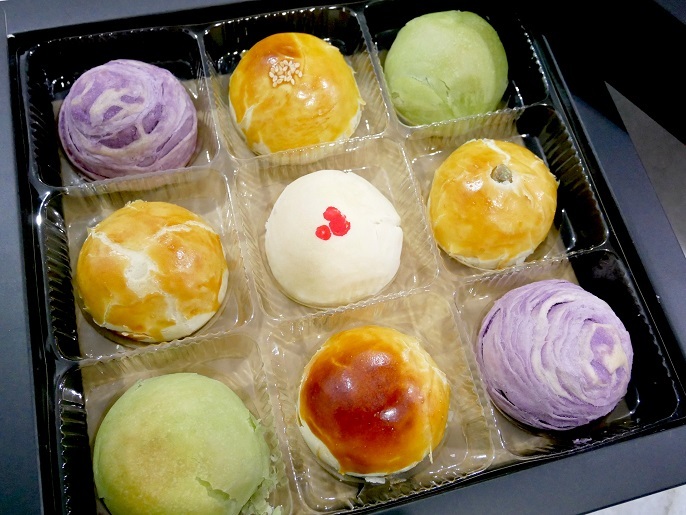 The paste ingredients for the mooncakes are various, which comes with matcha, red bean mochi, yam, sweet potato, red bean, white lotus etc. Also, most of the pastes are putting together with an egg yolk in the center which bring a perfect combination to all different flavours.. Here's sharing the 7 mooncakes flavours to taste from the Donutes Coffee & Cake Baking in this Mid-Autumn Festival 2017! 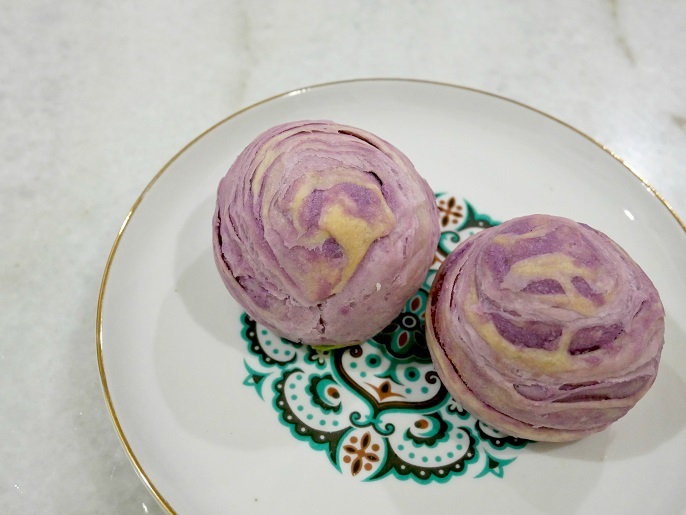 If you are a foodie who like yam or taro, this mooncake flavour is a head up for you! The flaky crust is full of yam fragrance which goes very well with the yam paste and a single egg yolk. 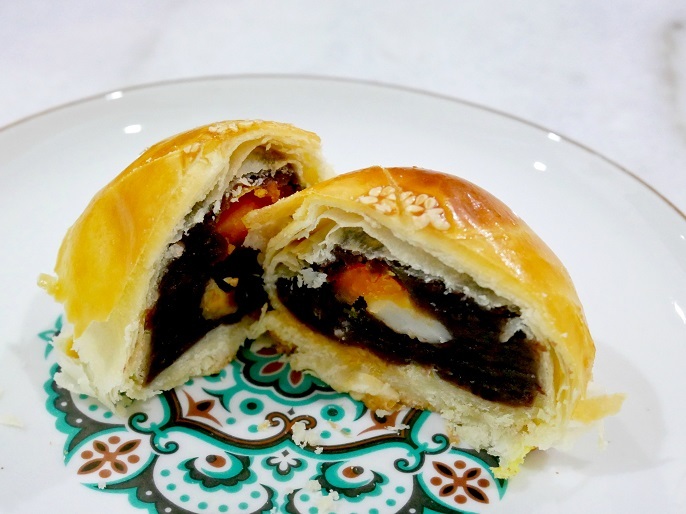 It is filled with smooth white lotus paste and egg yolk in a crispy fragrant crust, which not only keep your cravings satisfied, also the smooth white lotus paste does not stick to the teeth at all! 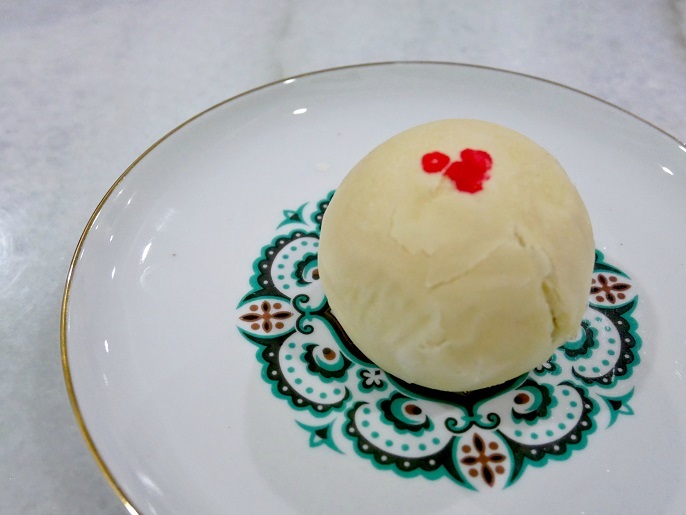 Well, this is also one of the new flavours in this year mooncake collection. 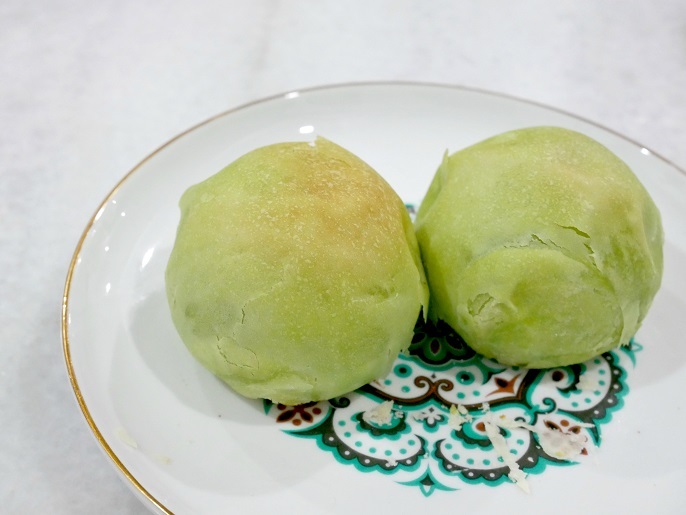 Mung bean filling is one of the perfect paste for Chinese mooncakes, and this entire savoury creation stands to offset the traditional mooncake's sweetness. 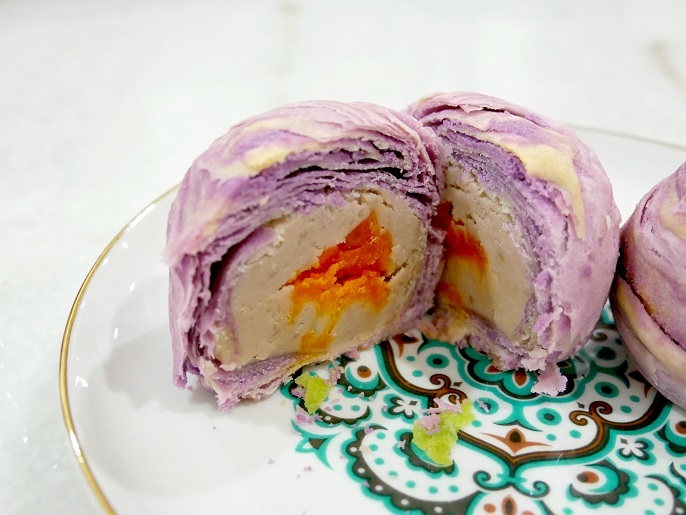 It's one of the most distinct combinations, with red bean paste, egg yolk and also Japanese mochi. 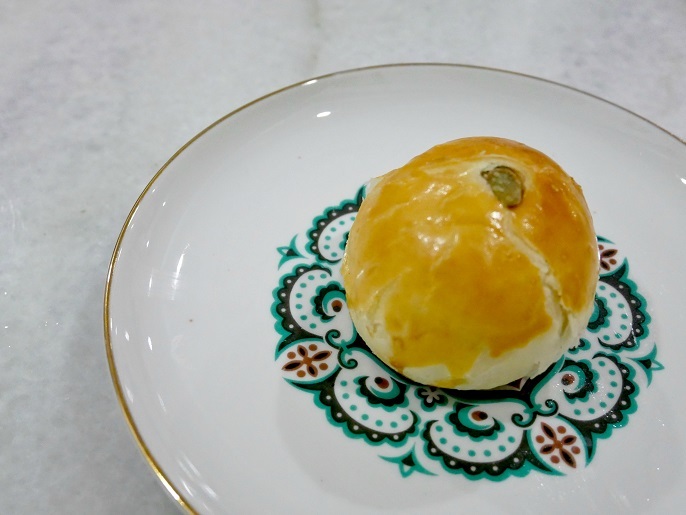 This rich but not overly sweet mooncake makes up a final new flavour to the mooncake lovers. This new flavour has created a well-balanced sweet and savoury flavours to anyone who love sweet potatoes. 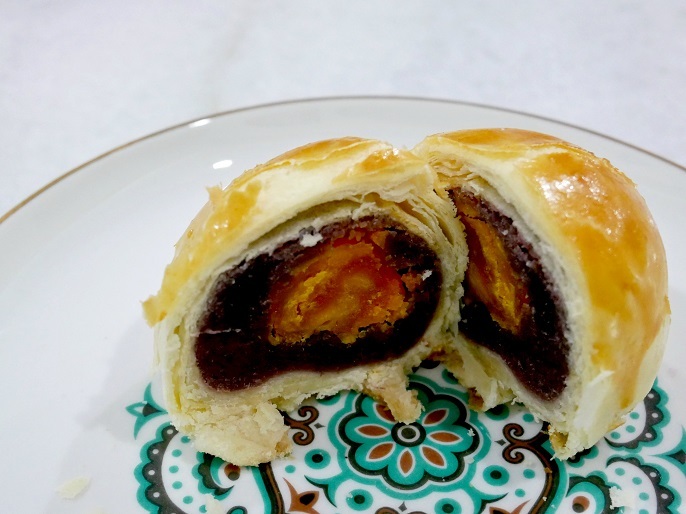 Nothing will go wrong for a mooncake with this rich in flavour of the red bean paste and an egg yolk in the center. It looks like a simple piece, but definitely good enough to pamper your taste buds during this special festival. 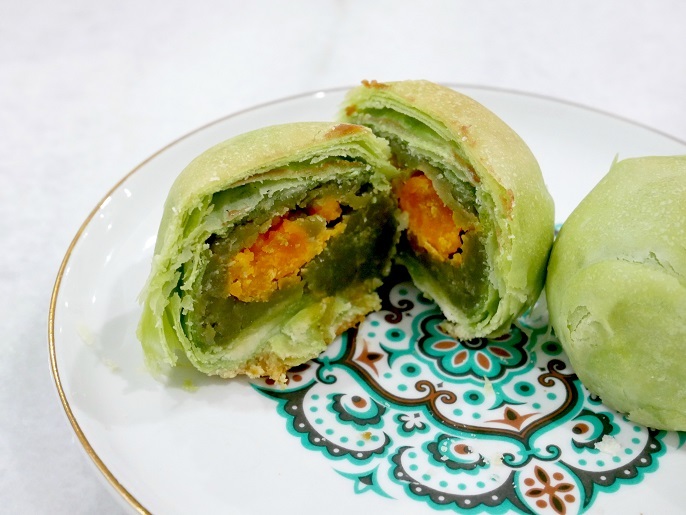 It's an unique green tea flaky crust mooncake that wrapped with egg yolk into the pure green tea paste. I like this the most, and I could have more of this one because it has a strong matcha smell and taste! 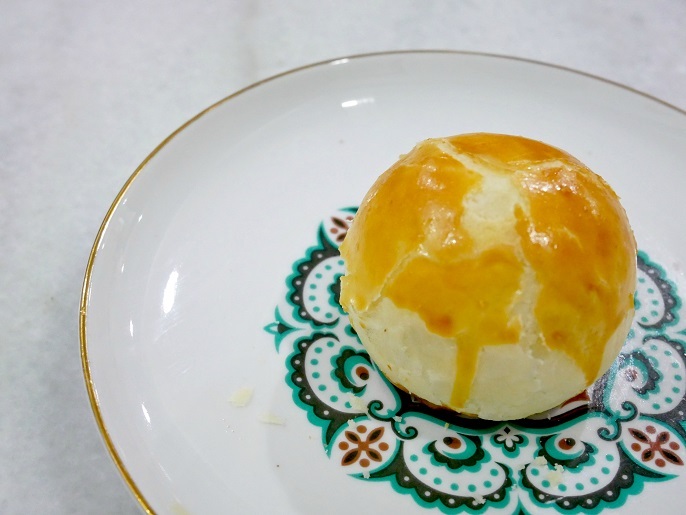 These flaky mooncakes are best to consume within 7 days, and keep them in room temperature. If you keep them too long, the crust will eventually become oily and softer, which will affect the overall texture and also extra oiliness will be added to the taste. These mooncakes will be available at all Donutes Coffee & Cake Baking outlets, from 11th September 2017 onward. One box comes with 9 pieces of mooncakes, and cost @ RM58.50 includes GST and service charges. 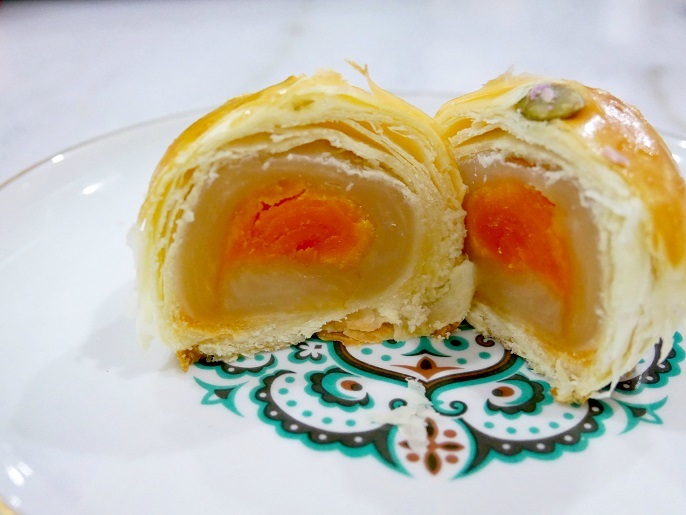 Hurry head down to get you hands on these yummylicious mooncakes for this mid autumn festival. For more information, check out the official FB page of Donutes Coffee & Cake Baking at https://www.facebook.com/DonutesMalaysia/.